COMEDK UGET 2018 - Application process online and Fees - padhaee "
b) Ensure that Online Application Form is filled properly with all complete details. Click on “PREVIEW” button and re- verify all the particulars in application form before clicking on SUBMIT button. c) Incomplete / incorrect applications are liable to be rejected at any stage without prior information to the candidate. d) Multiple application forms from the same candidate will result in confusion leading to disqualification of the candidate. 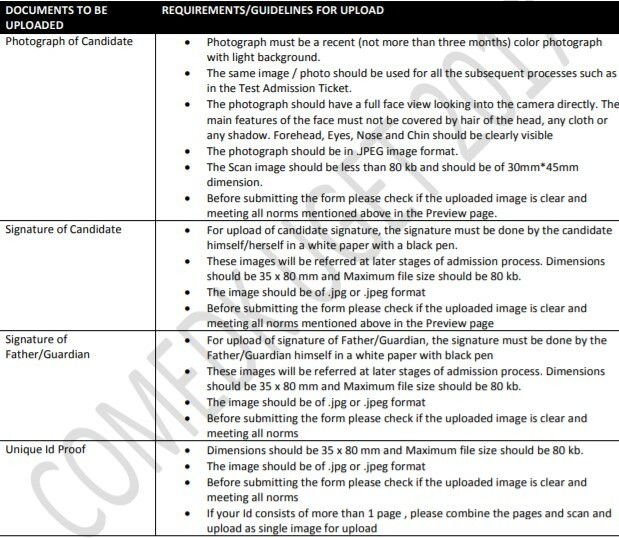 COMEDK is not responsible for any error that the candidate commits while filling the Online Application Form. Application forms without any of the above mandatory documents will be rejected. © 2018 padhaee. All Rights Reserved.